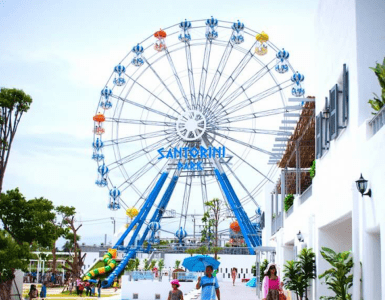 TOP 5 PLACES TO GO IN HUA HIN YOU AND YOUR FAMILY SHOULDN’T MISS. As everyone knows, Hua Hin is a well-known tourist destination with a variety of attractions. If you visit Hua Hin, there are 5 places must go in Hua Hin. Not only does it have a beautiful beach and sea, Hua Hin also has a water park, amusement park, lifestyle shopping market, night market and much more. We are going to introduce a fifth place to go when you are visiting Hua Hin for those who still have no idea where to go. The first is known as one of Hua Hin signature and must go in Hua Hin. 1.Hua Hin Night Market is a place where people come and enjoy plenty of street food such as seafood and desserts. You can also buy some lovely souvenirs for your family and friends. Hua Hin Night Market is located on Dechanuchit road soi 72. 2.Seen Space Huahin is the first-ever beachfront mall in Thailand. A laid back destination where you can experience the “Eat Lay Play Relax” lifestyle. Every long-weekend there will be the “Huahin Beach Market” at Seen Space Huahin. A selection of food, fashion and live music will be seen at the laid-back destination which is open Sunday – Sunday from 10:00 to 22:00 pm. Located on Soi 35. 3.Vana Nava waterpark in the concept of “Jungle Water Park” designed to mimic tropical forests. You will enjoy many waterslides and a variety of fun with a seal of approval from a global standard. 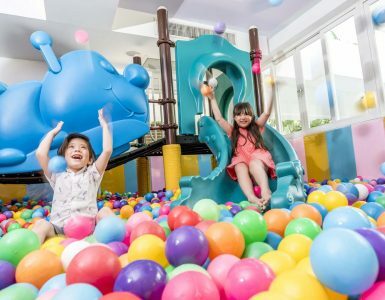 Vana Nava water park is located in 129/99 Soi Nong Kae. 4.Cicada Market is located on the way up to Chopsticks Mountain at 83/159 Nong Kae. Here you can enjoy the lovely atmosphere of the market that will make you fall in love and also find a variety of handmade products from the shops. Local artists display there work which can be purchased to decorate your home. The specialty of this market is a dramatic performance and live bands. Take off your shoes, lay on the lawn and look to the stars as you listen to music. Cicada market open every Friday, Saturday and Sunday from 16:00 am. – 23:00 pm. 5.Wat Huay Mongkol Hua Hin should definitely be visited before heading home to pay respect and pray to our great grandfather (Luang poo tuad). Wat Huay Mongkol formerly known as “Wat Huay Khot” Located in the Ban Huay Khot. Here is just an example of the Top 5 places must go in Hua Hin. Many more interesting attractions are waiting for you to discover and fall in love with. Don’t miss out on your next holiday in Hua Hin hotel, book now and stay with us at Novotel Hua Hin Cha Am Beach Resort & Spa to make your holiday a memorable experience.